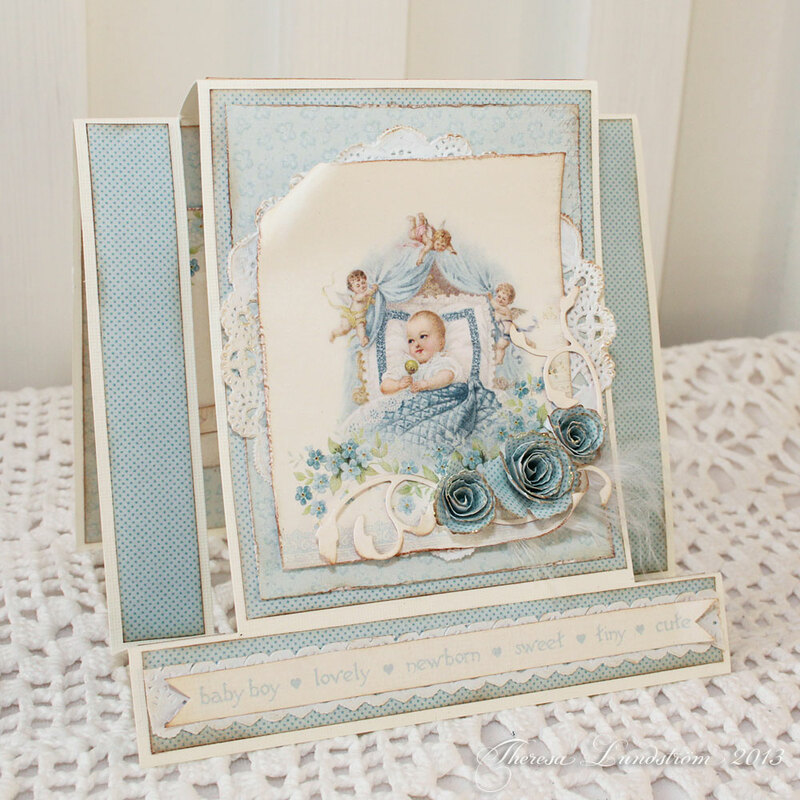 Here is a baby boy card made with the blue colors of our new paper collection Sweet Baby. 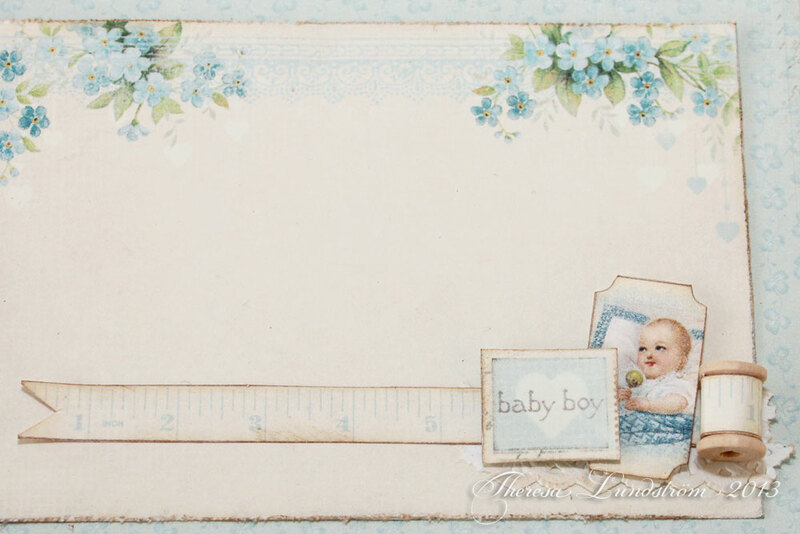 Image and papers from Sweet Baby 6″. 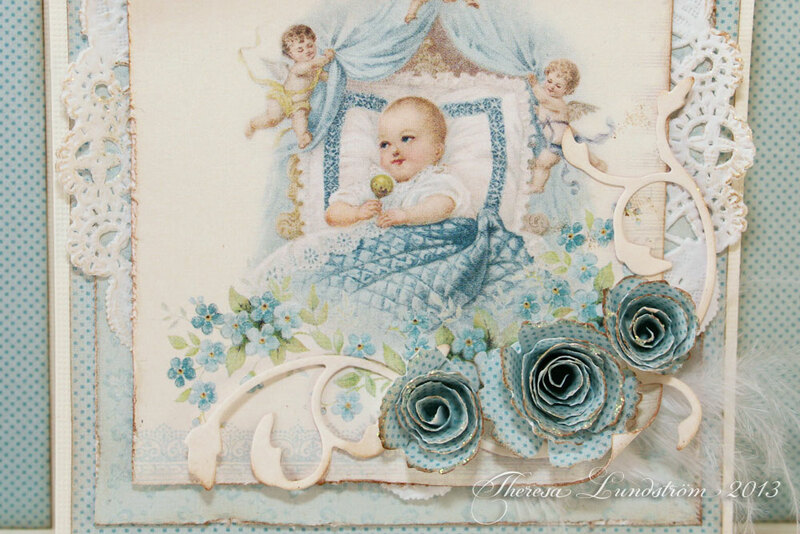 Cut out decorations inside the card.